Metr. 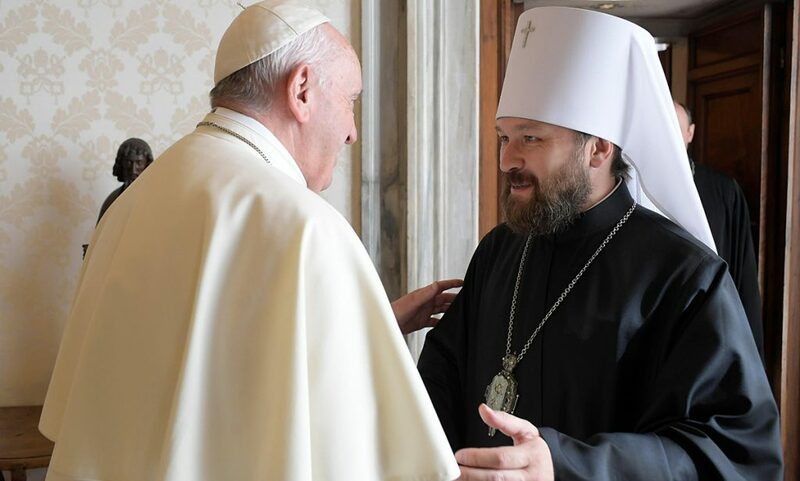 Kirill of Smolensk and Kaliningrad, supposedly a “dying-away” member of the Moscow Patriarchate’s “old guard”, has become more vocal over the past year with the union of the Moscow Patriarchate and the Russian Church Abroad (ROCOR). 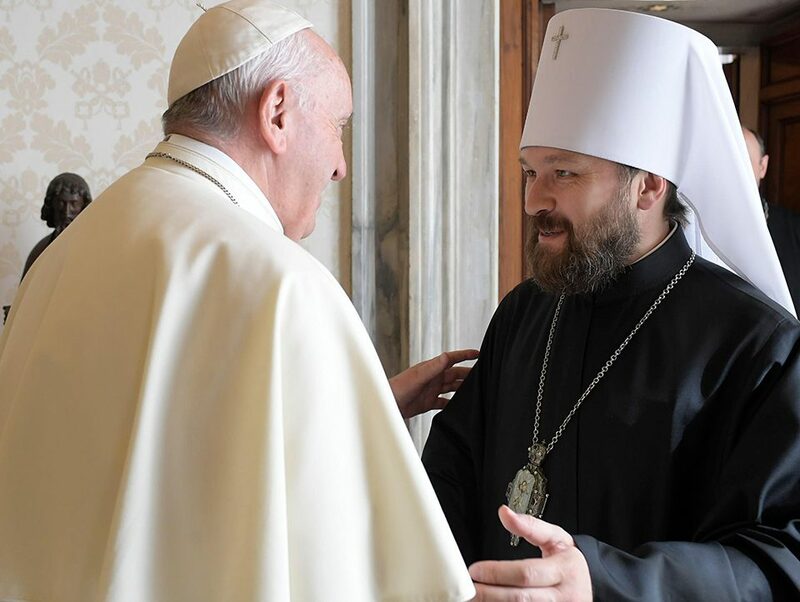 Far from there being a split or turn towards conservatism in Moscow, this is the “canonical future of the Russian Church,” as was shown yesterday at the opening of the Bishops’ Council. 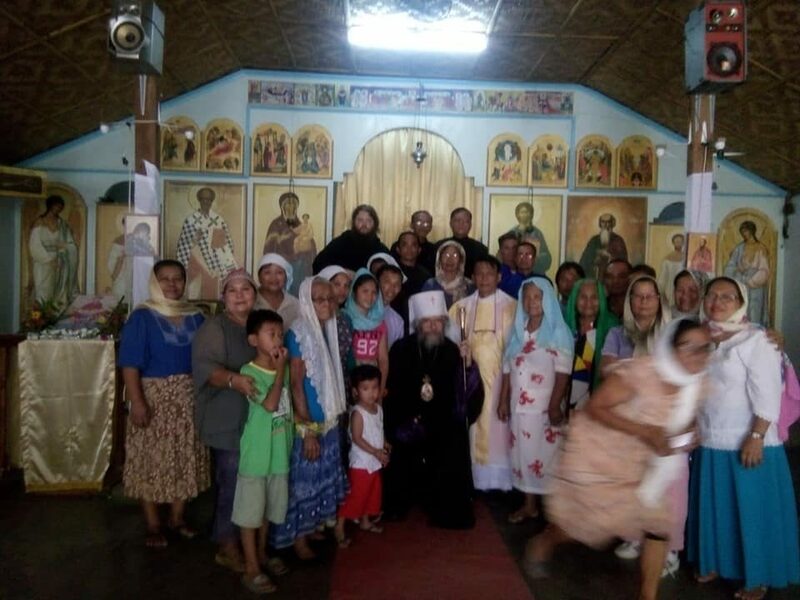 (Interfax) – Head of the Moscow Patriarchate Department for External Church Relations Metropolitan Kirill of Smolensk and Kaliningrad said that Orthodox believers can pray before all-Christian shrines in churches of other confessions. 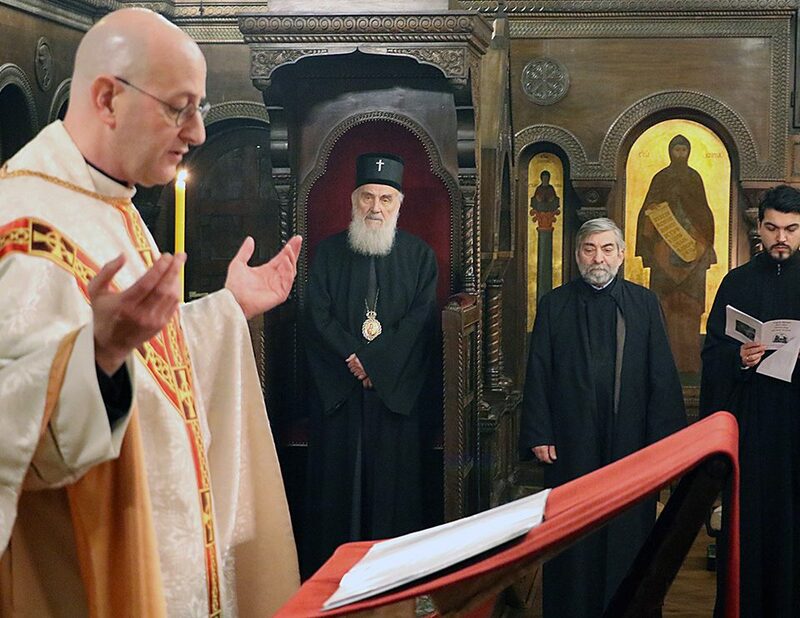 An Orthodox Christian can’t pray with other Christians when it provokes his conversion from Orthodoxy to other confession or schism, Metropolitan Kirill is quoted as saying by the Russian Church official website. 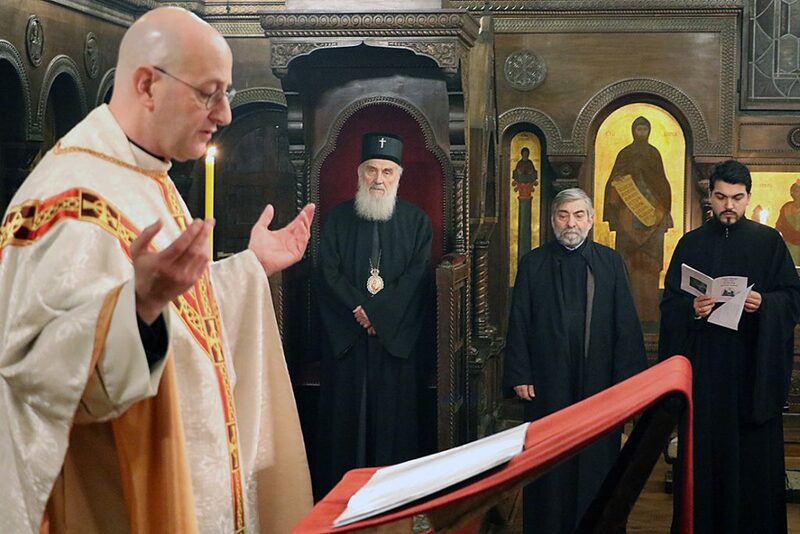 “Situation with schism or the union seems more dangerous because the boarders dividing the Churches are nor as clear and evident for ordinary people as in other cases,” the DECR chairman said.